The Center’s Legacy Community recognizes individuals who make one of the deepest, most personal commitments to our Center through planned gifts. When including a charitable interest to us in an estate plan, it means including Miracle Distribution Center among those people and places you value most. Bequests, charitable trusts, naming Miracle Distribution Center as beneficiary of an IRA, and charitable gift annuities are among the many gift vehicles that qualify as planned gifts. Thank you very much for your support of our work and for your interest in our Legacy Program. We are honored that you think enough of Miracle Distribution Center to consider including us in your will. Obviously, the subject of having a will is a very important one. Everyone who owns any property and cares what becomes of that property at death needs a will. Besides providing instructions for distributing assets to family members, providing for dependents and naming a personal representative, a will can also include provisions for remembering worthwhile organizations. You may choose to leave a specific dollar amount or a fixed percentage of your estate to an organization, or you may wish to designate that the organization receive the balance after designated individuals are provided for. In all cases, we recommend that you consult with your attorney before drafting a will. The following information about our organization may be helpful to you or your attorney in preparing your will: MIRACLE DISTRIBUTION CENTER is our corporate name and we are incorporated under the laws of the state of California. Miracle Distribution Center is on the Commissioner of Internal Revenue’s cumulative list of tax-exempt organizations. If you decide to name our Center as a beneficiary in your will, we would appreciate receiving a copy of the will as well as your attorney’s name and address, if available. 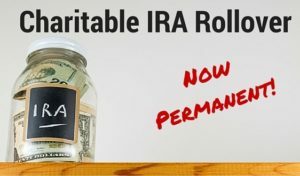 Charitable IRA Rollover – The IRA Rollover has been permanently reauthorized by Congress. Donors age 70½ and older can make cash gifts of up to $100,000 from an IRA to a qualified charity (such as our Center) without paying federal income tax on the transfer. IRA rollover gifts count towards your required minimum distribution amount (RMD). For more information, contact us or your IRA plan provider. IRA Bequest – For a donor who is under age 70½ or wishes to preserve his or her IRA dollars for lifetime use, a bequest of all of or part of an IRA is an easy way to make a future charitable gift. Virtually all plan providers now provide beneficiary designation forms online. A bequest qualifies your estate for an estate tax charitable deduction. Through a charitable gift annuity, donors are able to make a lasting gift to the Center and, in return, receive income for the rest of their lives. Annuitants also receive a lifetime subscription to The Holy Encounter and free admittance to any of the Center’s events. The paperwork for gift annuities is simple to complete and without cost to you. The CGA, as it is known, is actually a legal contract between a donor(s) and a qualified charitable institution such as Miracle Distribution Center. This contract has two parts. The first is the backbone of the whole idea: a charitable gift. The second, as the name implies, is an annuity – an annual payment from the charity to the individual(s) making the gift. In short, a donor makes a gift to charity, and the charity agrees to annual payments (for the life of the donor). Because of the underlying charitable nature of this contract, the donor receives a number of uniquely charitable tax benefits including an income tax deduction at the time the CGA is initialized. In addition, when the CGA is funded with certain types of appreciated assets, there is a partial bypass of applicable capital gains tax and a portion of each income payment is considered to be “return of principal” and is tax-free to the donor. Upon the death of the donor, the value of the CGA contract becomes the charitable gift, leaving a lasting statement of the philanthropic intent and the nature of the agreement. If you are age 75 and transfer $20,000 to MDC for a CGA, you would receive guaranteed payments of $1,240 each year, based upon the 6.2% annuity rate for your age. The $1,240 will be paid in four installments throughout the year. Nearly $900 of the income would be tax-free each year, for the next 12 years. (After that time, the full $1,240 would be taxable.) In addition, you would be entitled to an immediate charitable deduction of approximately $9,000. So, a decision to take action today resulting in a gift to charity in the future means that a donor receives tax savings as well as what is often an increase in income and higher overall return on a specific asset — an unexpected tangible testimony to the fact that in giving you really do receive! Request more information by e-mailing us or by calling 1-800-359-2246. Please include your name, address, age and the amount you are considering for an annuity, and we will send you a customized proposal outlining the benefits. These figures are for illustration purposes only. Minimum amount to begin a CGA is $10,000.00. ($25,000 in California.) Minimum age to begin payments is 60 (65 in California.) 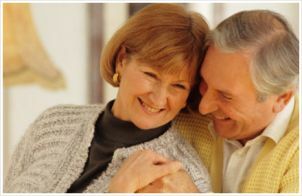 Minimum age for a deferred annuity is 45. Available for single life and joint life. Miracle Distribution Center is a member of the American Council on Gift Annuities.